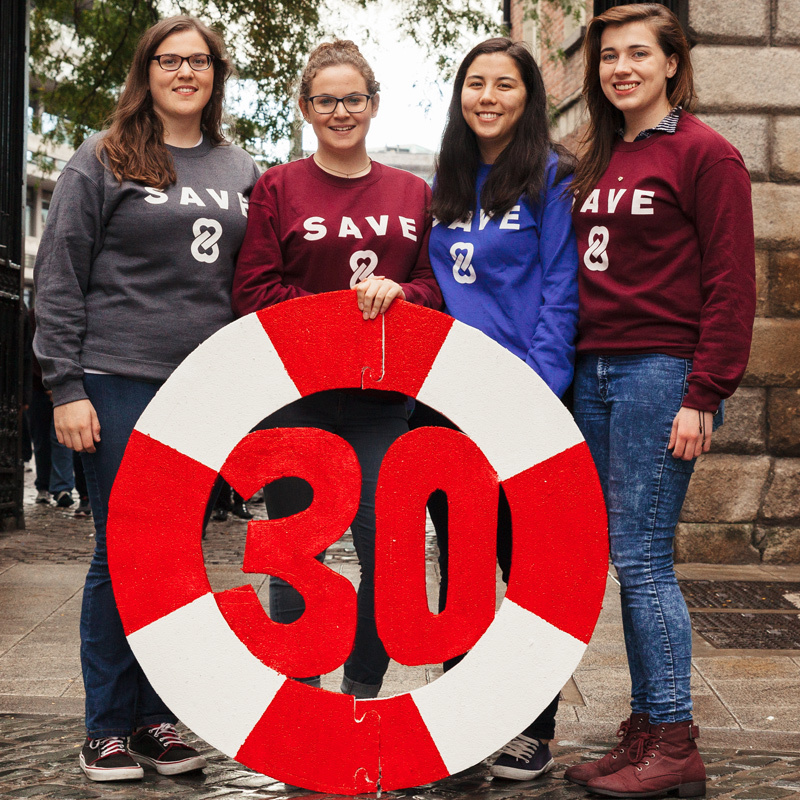 The 8th Amendment saves 30 babies every day! - Heroes. 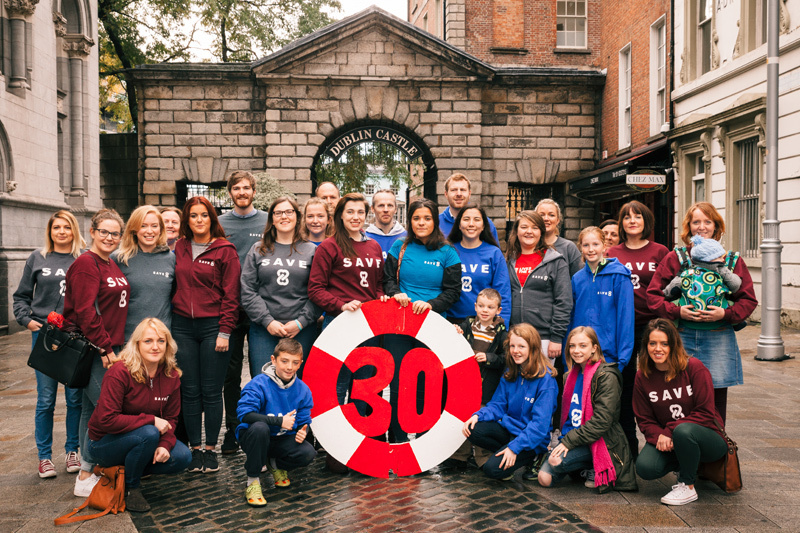 The 8th Amendment saves 30 babies every day! Did you know that 30 babies are saved from abortion every single day by our pro-life laws. That’s 30 good reasons – every day – to Save the 8th! You see, we have a very low abortion rate in Ireland – just 5%. But if we had Britain’s shocking abortion rate of 20%, one in every 5 babies Irish babies would have their lives ended abortion. In fact, if we had Britain’s abortion rate, we would have 14,000 abortions every year. That would be an INCREASE of 10,000 abortions per year – or 30 more babies killed by abortion EVERY day. That’s the reality of the #RepealThe8th slogan. Surely no reasonable person wants MORE abortions? We can do BETTER for mothers and babies. So let’s Save the 8th, and ensure that we save the lives of 30 babies from abortion EVERY day. The truth is that no woman regrets her child – and every women deserves better than abortion. Abortion campaigners always ignore the fact that the number of Irish women travelling for abortion has fallen by 48% since 2001. Real compassion and better support helps both mother and baby. Be proud to support a law that saves 30 women and babies from abortion every day. Let’s Save Lives and Save the 8th. In fact, it’s estimated that 250,000 children have already been saved by our ban on abortion. Let’s keep it that way. Our ban on abortion has saved lives. More than 250,000 people owe their lives to our ban on abortion. These are people all around you – in school, at college, in the workplace, in your GAA club: people who were not aborted because of our pro-life culture. How do we arrive at the figure of 250,000 lived saved? By looking at the official statistics on pregnancy and abortion (see the table below). Ireland has a low abortion rate. One in every 20 babies conceived here are aborted when women travel to the UK. However, in Britain that figure is a shocking one in every 5 babies aborted. If abortion was legal here – if we didn’t have the 8th Amendment – we would most likely have had the same abortion rate as Britain. And if we apply the British abortion rate to the number of Irish pregnancies each year since 1984, we get a startlingly high estimate of 418,000 abortions which would have taken place if abortion was legal in Ireland. However, because because abortion was not readily available here, less than 150,000 abortions have been carried out on women travelling from Ireland to Britain for abortions. This means that the 8th Amendment has saved the lives of at least 250,000 people – people working, studying and living in Ireland today, your friends, your neighbours, members of your family. That’s 250,000 reasons to protect and save the 8th Amendment. Let’s ensure Ireland keeps providing progressive and compassionate answers rather than the failed, medieval solution of abortion. As you can see in the spreadsheet above, adding the number of births, abortions and stillbirths in England and Wales (excluding abortions on non-residents) gives the total of all pregnancies in each year. Using the number of (resident) abortions, an abortion rate (% of all pregnancies ending in abortion) for each year can be easily calculated. In 2014, the British abortion rate was 21% – more than one in every 5 pregnancies end in abortion. Using the same method, we can see that, in contrast, some 5% of Irish pregnancies ended in abortion – in 2014 for example, 3745 babies were aborted from 71,557 Irish pregnancies. We then applied the British abortion rate for each year to the number of Irish pregnancies from 1984-2014, to estimate how many abortions would have taken place here if we had legalised the British model of abortions. That came to a shocking estimate of 418,243 abortions – against an actual number of 147,723 abortions that had actually taken place on women travelling from Ireland. Clearly, making abortion easily accessible would massively increase the number of abortions and change the culture. Deducting the actual number of abortions from the estimated number of abortions which would have taken place had abortion been legal in Ireland, gives a estimation of 270,520 babies saved by the 8th! To be prudent, we can state that estimate at 250,000 since we don’t know how many women may have travelled to other jurisdictions to obtain an abortion in that time, though the Crisis Pregnancy Agency has estimated those figures to be low and declining.